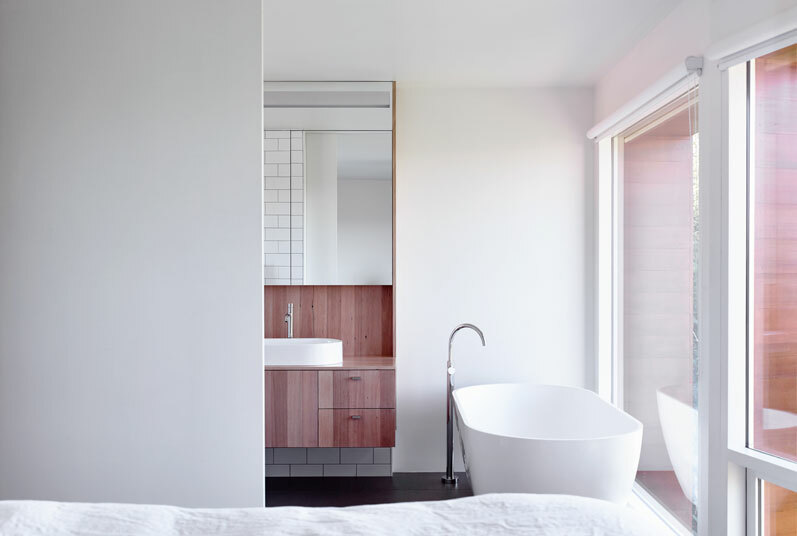 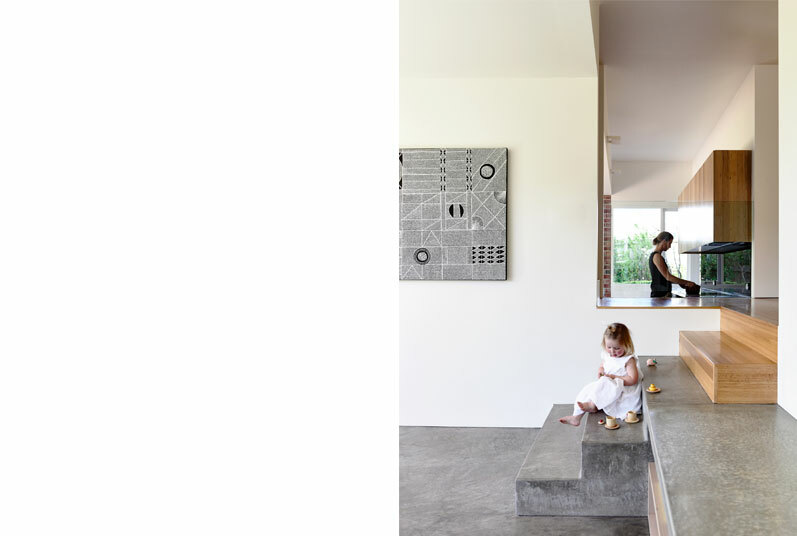 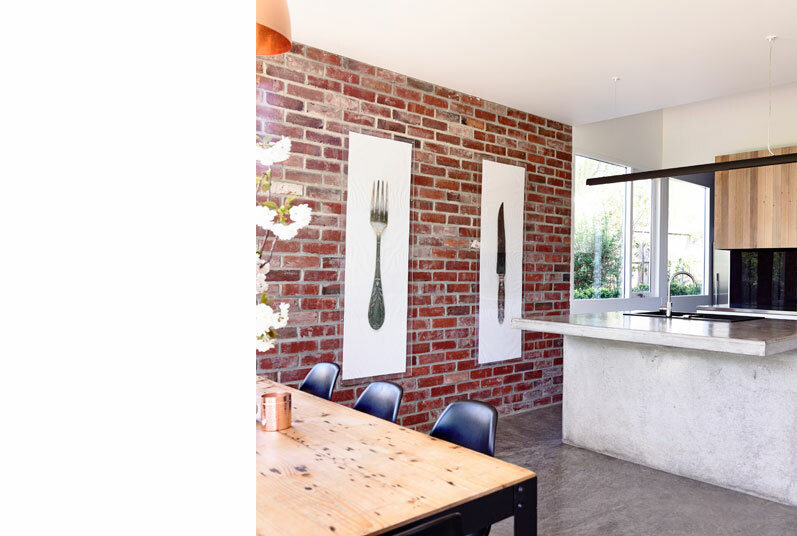 The project consists of a rear extension to a 1920’s Californian Bungalow in Hobart. 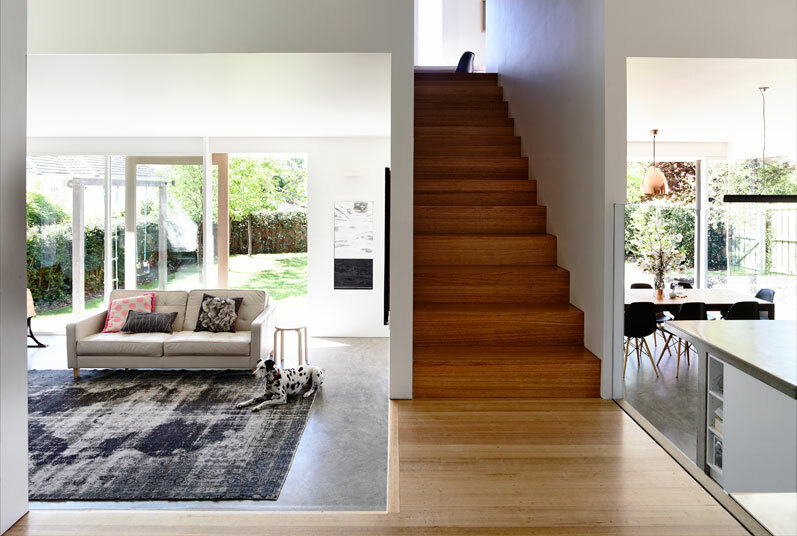 A split level arrangement provides living spaces at the lower level and sleeping spaces at the upper level. 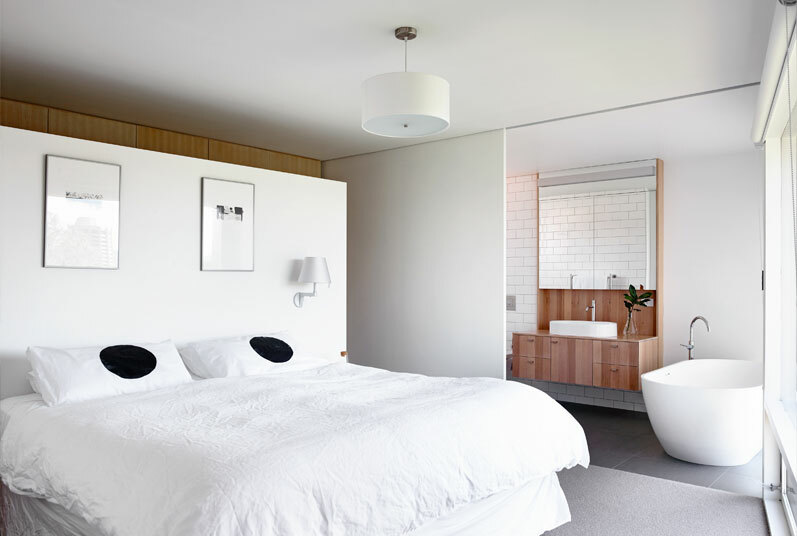 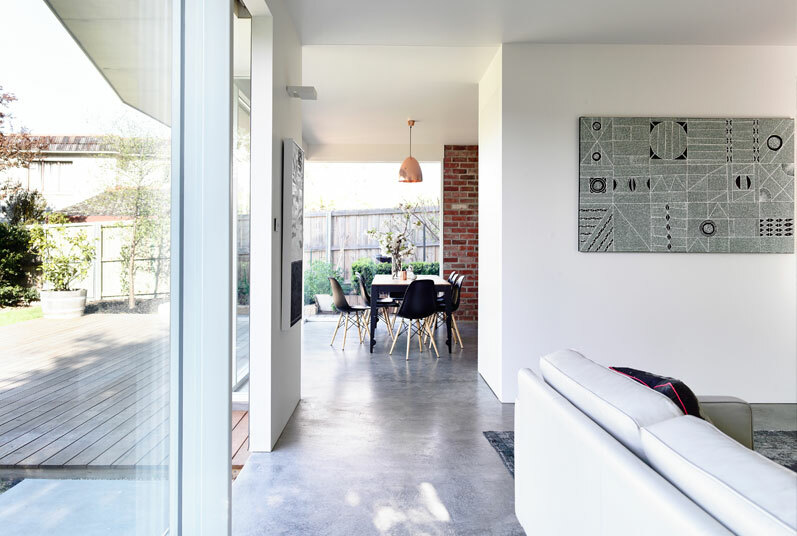 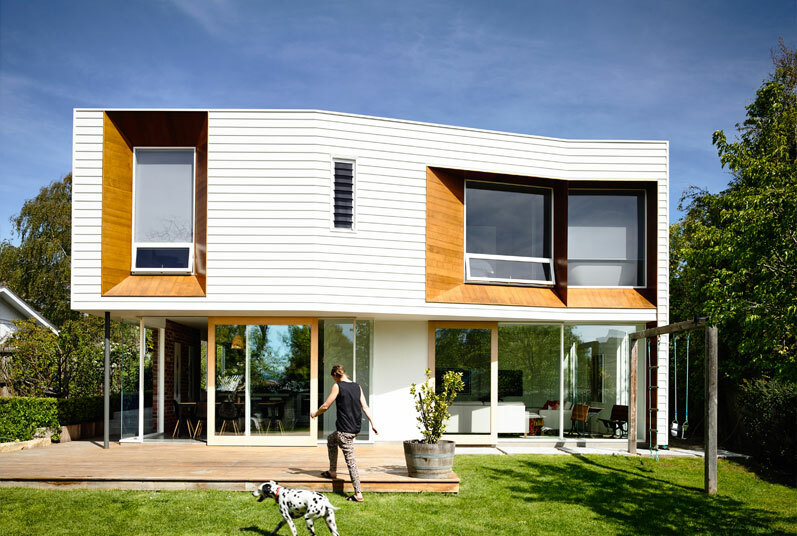 The living spaces are light and open with good connections to the outside, whilst the upper level form is solid and the weatherboard cladding taking cues from the existing building, providing a balance between the old and new works. 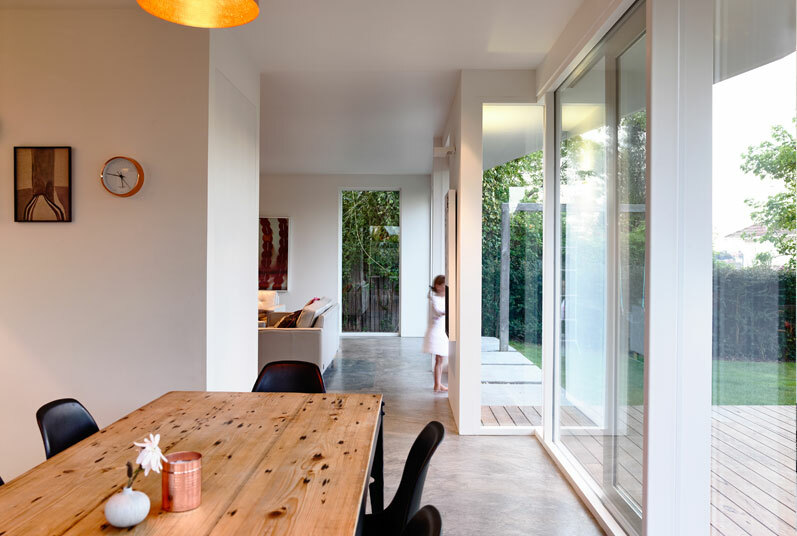 Splayed reveals at the upper level, broaden the view from within and provide a psychological connection with the backyard.